It’s no secret there are lots of top-notch WordPress themes online – WordPress designers perfect their skills creating web masterpieces annually. Selecting the proper theme that would suit your project specifically takes some effort. To make your search easier, you should take a closer look at the collection of top WordPress themes 2017. There is a great deal of themes that will suit any type of online projects - from fashion to business, from agriculture to charity. Be sure that the list of the best WordPress themes in 2017 has the items you will find useful. Every theme in this selection is search engine friendly and mobile-friendly to help you get more mobile traffic. Besides, these items are easy to use and customize, and they’re backed up with a free 24/7 lifetime support. Beauty and usability merge in these top-notch WordPress templates. Pleasing to the eye, their functionality is at the top of the game. In this collection of themes, we have put together the items ready for business projects of any kind. Apart from striking design and high-quality features, TemplateMonster’s WordPress themes are extremely well-documented. The templates are supplied with a solid manual, or with the usage notes, to say the least. Wrapping your head around how a specific plug-in or feature works is no big deal any more. 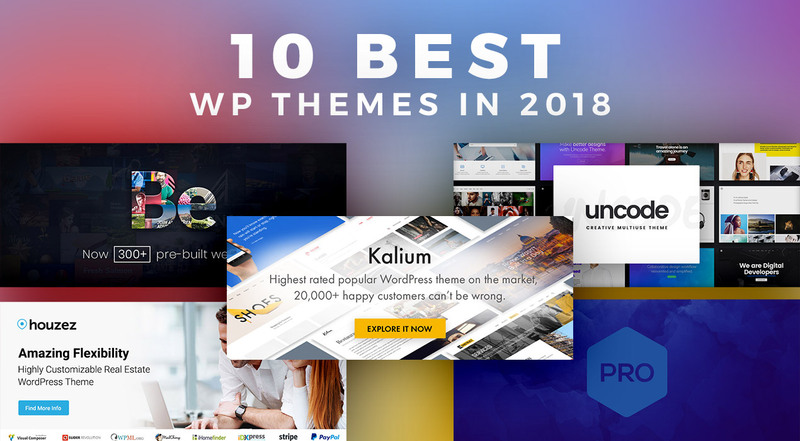 But, enough talking, let’s proceed to the list of premium WordPress themes in 2017. Focussity is the ultimate choice for a wedding photographer, no matter if you have a one-man studio or work with other photography gurus. You will be amazed at how easy to use and fast this theme is. It’s packed with a high-performance drag-and-drop page builder and lots of customization options. For instance, you can select from among 11 layout options. Also, using content modules like Call to Action, Video Slider, or Testimonial is pretty easy. Fully responsive design will allow rendering your website flawlessly on multiple devices. Worried about possible technical issues? Fear not, since there’s a free 24/7 lifetime support that comes packed with this WordPress theme. Undeniably, Focussity is the best choice for both photographers and studios looking for simple WordPress themes that are easy to use and customize. Great! I recommend this template to all professionals who want to advertise themselves on the Internet. Buildberry is a professional looking construction company WordPress theme. It has a smooth and attractive appearance and effortless customization. This design is rich in images and is able to put your company before any competition in the field, while providing a lasting positive impression on the website viewers. It’s SEO-friendly, which allows better rankings of your website and it is made with a valid and clean code. Besides, this theme has an absolute support of various mobile gadgets. It means you’ll have the segment of mobile users covered. Also, there’s a Live Customizer for easier tweaking of the theme. Thanks to the numerous Cherry Projects layout and filtering options you can create a full-blown portfolio. Free 24/7 lifetime support comes packed with the template. Recommended! It was easy to install this theme. The documentation was well done. Even for beginners. If you wish to create a flexible website for steelworks or construction industry, Caldera is the WordPress theme right for you. It has a page builder with 25+ content modules that will help you build an impressive online project. This theme has an intuitive design, combined with clean typography. Besides, it gives a modern feel which makes it a lot more appealing to customers. To save the time and reduce the web development costs, you can throw in some social media buttons and sliders with built-in widgets. Apart from having user-friendly navigation, this WordPress theme has fast loading time on the plethora of electronic devices. Also, this item comes packed with explicit documentation, which means you won’t experience any trouble installing or fine-tuning it. Besides, you can call up our free 24/7 lifetime tech support in case of having any technical difficulties. Undoubtedly, this item is one of the best responsive WordPress themes to create a construction and steelworks company website. Really in depth template. This theme is really intuitive to use. The theme describes which plugins to install and makes it very easy to configure. Summit is an absolutely out of the box WordPress theme for roofing companies. So, if you own a roofing business and want to create a professional looking website fast, this is the solution just for you. To catch the eye of your potential customers, high-contrast design concept was chosen. The thought-out layout serves to emphasize the benefits your clients will get using your services. Besides, it’s possible to fine-tune the existing pages or create them from scratch with the help of a drag-and-drop page builder. The cool thing is – no technical savviness is needed for this. Well-structured drop-down menus with a comfortable search panel ensures your visitors will smoothly navigate around your website. Thanks to the integrated Appointment Manager, you can also enable your clients to make reservations right on your website. Awesome ready-made design! The template is really high-functionality. BeDentist is a WordPress theme designed specifically for stomatologists and dental practitioners. This item can boast an appealing design and a subtle color scheme looking professional and suitable for any medical services resource. Apart from that, you aren’t limited to use one or two layouts, as any kind of configuration is possible with an intuitive WYSIWYG admin panel. To fine-tune your website, feel free to use professional widgets, including a useful appointment module. Also, you have the segment of mobile users absolutely covered with this theme. It’s 100% responsive and SEO-friendly, rendering well on mobile phones, tablets and desktops. To maintain better connection with your target audience, there are such features as Contact Form and Newsletter Subscription. Very nice and useful template... now I see good results in Google. Also it's very easy to work with SEO now thanks to special plugin inside. Site is looking more professional and functional thanks to [this] template. Need a solid WordPress theme to report the latest news fast and easy? KingNews is just the thing for you! It has a neat, thought-out design and pleasant looking typography. Besides, it’s a great option for building multilingual news websites and online news magazines. Thanks to the flexible structure of widgets and extensive customization possibilities, you’ll be able to tweak your online project the way you want to. Feel free to use multiple front-page layouts to achieve the desired look. No need to be a web design professional - working with these options is easy as pie. So, you can make any modifications to your online project or completely change the design with several clicks. To keep in touch with your prospects, make use of email subscription widget and social media integration. This way, you’ll secure your quality presence in social networks. Apart from all of the above, there’s another serious benefit - 100% GPL v3.0 licence. It provides you with comprehensive rights for customization of this theme. In case of any issues, address our free 24/7 lifetime support service. It is an amazing template! Easy to customize and work with. Very good set documentation. Are you an owner of a brewing house or a pub? To promote your facility better, you’ll need a solid WordPress theme. That’s why, GutenBerg is the item you need! This theme will create an inviting vibe for visitors, just like a real-life pub or brewery. GutenBerg is a polished theme with all the needed frills, including Parallax scrolling effect and 100% responsive design. Besides, it’s so easy to customize! No technical skills are needed to perform the changes. 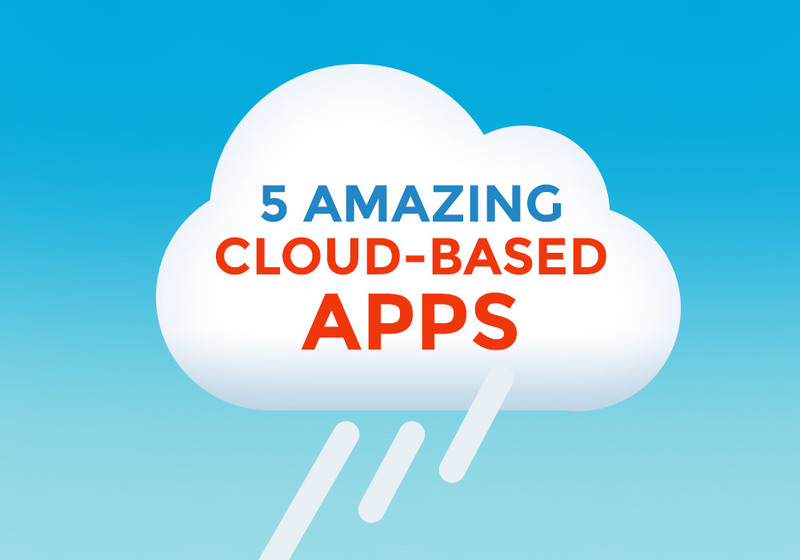 Since this is a specialized theme, you might consider it not exactly customization-friendly. Yet, this item is quite the contrary. Supplied with an effective visual editor for web pages, high-performance widgets and plenty of other features. Besides, there’s integrated booking functionality! For sure, this is the best WordPress theme to use for brewing facilities and pubs. Great template for pubs & restaurants. Once installed with demo data is very easy to customize. The template is fully responsive and have nice parallax effects on pics. Are you a real estate agent who wants a proper representation on the web? Or maybe you’re a real estate agency that wants to put up a high-end website fast? If that’s the case, then HomePro Real is exactly what you need. This is a solid item that not only has an eye-catching design, but also excellent performance. This theme allows operating a large portfolio with numerous listings. Besides, you can tweak the appearance of the whole theme and individual web pages separately. Just imagine, in less than an hour you can have a ready to use website thanks to the extremely easy configuration of this theme. Live customization mode is a real time-saver! Created for a specific niche, this theme has a high-performance property search and a Mega Menu. Using this WordPress theme you’ll be able to create the perfect real estate website. Without doubt, this item is one of the best responsive WordPress themes for real estate. This WordPress theme is easy to setup. The documentation is well written so I have no problems with installing. Need a high-performance architecture WordPress theme to boost your business online? With Internal it’s easy as pie! This theme is retina-ready and 100% responsive. Besides, it’s absolutely mobile-friendly, yet works perfectly well on desktop computers. Thanks to the neat design combined with well-structured menus and intuitive navigation, this theme will turn out to be a great solution for your project. In addition, this one comes with a free 24/7 lifetime support. So, in case you have any problems or technical issues, you can always address our qualified professionals. Speaking of the visual aspects, this item belongs to the list of the best WordPress templates. Such features as Carousel and Gallery will be a great help for building professional-looking portfolio pages. And due to the Google Maps integration and a Contact page, your clients will be able to find you without difficulty. Lovely template, easy to customise and install... The example copy really helped when building so that I could see what goes where and get some ideas on how to build up the pages. Want to have your apparel store bookmarked by fashionistas all over the world? This is quite possible in case your clothing store runs on the WooThemes engine. Not only this design is stylish and well-structured, but it also has a section to showcase the latest news, clothes collections and popular items. Thanks to the integration of social networks, your audience will be informed about the newest additions to your assortment. Fashion Gaze has an intuitive navigation menu that ensures smooth browsing of your website. You won’t experience any trouble installing and customizing this item. This theme is super SEO-friendly and mobile-friendly, so you’ll be able to make your store visible all over search engines and across multiple devices. So, if you’re searching among the cool WordPress themes, this item is worth paying attention to. This theme is just great. [Easy] to deploy and customize. Transit is one of the best WordPress responsive themes suitable for transportation and logistics services. This item is built keeping in mind the needs of your business. It has a number of layouts, being packed with rich visual customization features. It is possible to perform any modifications to the initial layout using the page builder, content modules, and a widget arranger. As it’s expected from the industry, the theme has a professional look. The design of Transit WordPress theme is quite simple, yet it’s capable of making a lasting positive impression on visitors. Apart from all of the above, the theme also contains a calendar, social media integration options, an email subscription feature and more. It's simple and effective. I really liked the option to build different layouts. That was easy. I wish you could see a small preview of what was in the boxes. Otherwise you have to guess a bit on finding your section to edit. Marshal is an optimum choice for building a website for business analysis and marketing research agency. This great WordPress theme has a professional look and feel. This item comes packed with a visual page builder that enables making any desired modifications to the appearance of a website. Besides, this theme is supplied with an array of high-performance plugins like Post Carousel and SimpleSlider. The theme has a well-thought structure, so you’ll find sections like Customer Reviews or Executive Managers on the homepage. This will give you the possibility to introduce the employees of your company as well as tell more about the results of their work. Marshal is optimized for search engines and mobile gadgets. So, boosting the search engine rankings won’t be a problem at all. To make content management fast and easy, Cherry Framework 5 is at your services. The drag-and-drop page builder can be fitted specifically to your needs. If you own a roof repair company, you know how important it is to stand out among your competition. This WordPress theme is enhanced with Parallax scrolling effect, it is also retina-ready which makes it look great on the screens of high pixel density. Mega menu feature facilitates user-friendly navigation allowing convenient browsing. Also, the theme comes packed with MotoPress Editor for fast and easy page building. Even if you’re not a web developer, you won’t require any special skills to customize this WordPress theme. For increasing your target audience there’s Google Maps and Contact Form features. This Roof Repair WordPress Theme comes packed with PSD files, which means you can make changes to the original visual elements of the theme or design them yourself. This theme is 100% responsive and absolutely cross-browser compatible. It works perfectly well on mobile devices, proving to be among the best WordPress templates for roofing business. Pretty nice theme, very easy to customize! This theme is really modern and beautiful. With the Cherry framework options and features, it's really simple to customize the theme to fit colors and layout of our choice. It's a pretty nice theme to have! Style Factory is an exquisite WordPress theme for hair salon considered one of the best WordPress templates. Apart from eye-catching design, this template has a plethora of plugins like ‘Wishlist & Compare’ that enrich customer experience significantly. Creating custom sidebars and selecting their location is easy and convenient within this theme. Booking appointments is not a problem any more, since there’s an Appointment Manager feature in this theme. This plugin looks handy and simple to use even for clients that aren’t logged on the site. Besides, there’s an eye-catching time table. Apart from all of the above, this theme can boast such features as Live Customizer, Live Events, and a fully responsive design. Want to give your handmade jewelry online project a proper presentation online? Verel WordPress theme is just the thing for doing it the right way. Showcasing your best jewelry creations will be as easy as abc. Thanks to the Advanced Gallery plug-in containing custom animation and multiple layout options. Verel allows effortless social media integration. Also, you can bring news items, as well as your ‘About’ description into the sidebar. Verel WordPress theme is SEO-friendly and is optimized for an array of mobile devices. It comes packed with free 24/7 lifetime customer support. As for the multiple features, there’s many - content modules, custom widgets, and a powerful page builder that makes the process of website customization pleasant and easy. You’ll appreciate the modules that facilitate video integration, and more content into the web pages. Choosing the best WordPress themes in 2017 is not an option, it’s a must. Simply because they are extremely rich in features, have fully responsive design, are easy to install, convenient to customize, optimized for mobile devices and search engines. Top themes included into this collection correspond to the latest web design trends. You can also find some of them in the list of top WordPress themes in 2016. It’s not only about pleasing-to-the-eye designs, they are not enough any more. Web designers are looking for a way to make these WordPress themes easy to use by any person, even those who have no technical skill at all. Using any item in the presented collection of the best responsive WordPress themes you will be able to establish a full-blown website in the matter of few hours. Ready-made WordPress themes remain one of serious advantages for building a website from zero. Besides, they can help in reducing web development expenses. Choosing the theme for your website is also a business responsibility, because it reflects your business identity. The themes in this selection are versatile and multi-purpose, so irrespective of the field or industry they can be easily customized to fit your project. No special tech skills are required, so anyone can modify these WordPress themes by playing around with the features. Hopefully, you’ll find the best item for your website among our top WordPress themes 2017. Which template is your favorite? Share your thoughts with us! 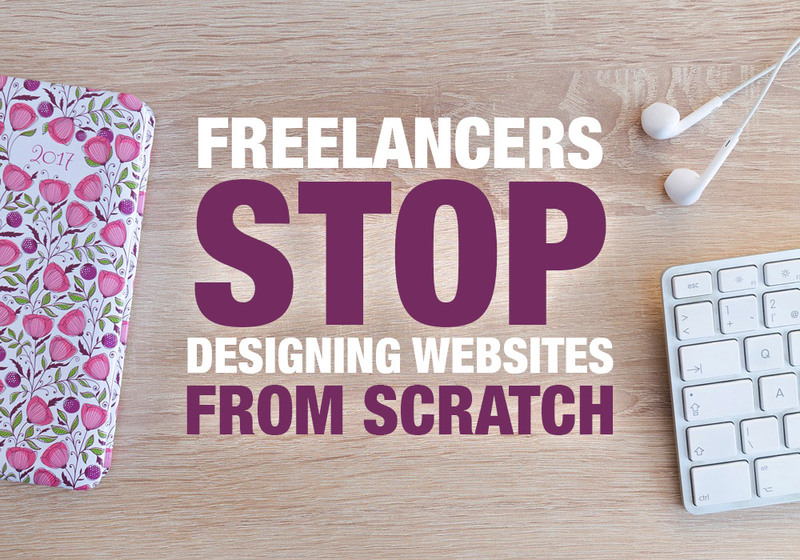 Freelancers: Stop Designing Websites from Scratch!